The thing associated with their hands - always a favorite. Store-bought clothes, even the most fashionable and high quality, never give so much emotion. And no wonder. After all, how much soul and effort into each associated row. But the thing was pleasing and brought aesthetic pleasure, need to work on its implementation. Binding should be neat and smooth, as if the clothes are knit on the machine. To achieve this, at the initial stage of work it is necessary to determine the right size needles for knitting. The view that the thickness of the spokes should correspond to the thickness of the yarn is not quite accurate. A lot depends on which product the idea. Delicate things, for example, tally thicker spokes. But if the product must be tight and not stretch and the spokes with a smaller diameter. In addition, each of the masters knits in their own way: some tightly, others more loosely. 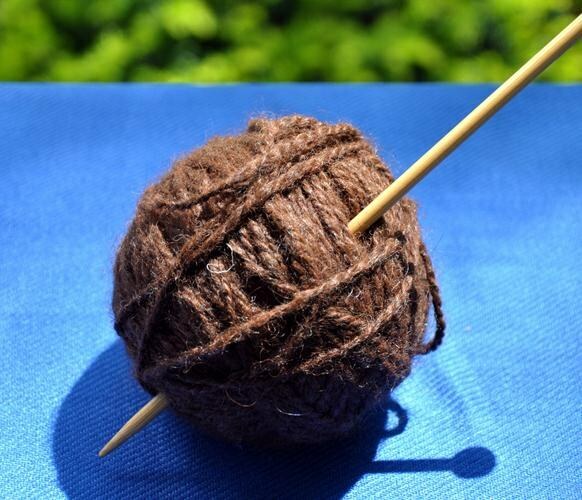 The surest way to determine the size of needles for knitting is to do a test mating. Enough to tie a little one of the spokes, and then the other and draw conclusions. If it turns stiff binding — replace the spokes on those that are thicker. If the canvas is loose and sprawling, you need thin spokes. And only when the knitted fabric is soft, elastic, well-kept figure and form is the spokes adjusted correctly. However, pick the spokes can thus only experienced knitter. Generally in needlework many things come instinctively, but you need to associate not one, not two things. Beginners, you should understand that all knitting needles have their number from 1 to 9 indicating the diameter of knitting needles in millimeters. Step numbers equal to 0.25 mm. It looks like this: 1; 1,25; 1,5; 1,75; 2; 2,25; 2,5; 2,75; 3... And so on up to 9 rooms. If the needle is no number, it is easy to calculate using a ruler or graph paper. Knitting needles should be thicker thread in 1,5-2 times. The composition of the yarn, the length of the filaments and their number, usually indicated on the package. Yarn number is expressed as a fraction. The first number is the thickness of the yarn (the higher the number, the finer the yarn), and the second indicates how many threads is yarn. Often the product is knitted with two types of spokes. Elastic bands, straps, stands true spokes on half the number or one number less than those that fit the main deck. So seriously fascinated by the knitting, you need to purchase all numbers of spokes. And then the knitting will bring only pleasure, and related things will be smooth and neat. In fashion magazines usually the number of spokes for the product. But it is better to check the information practically, in the illustrative example.